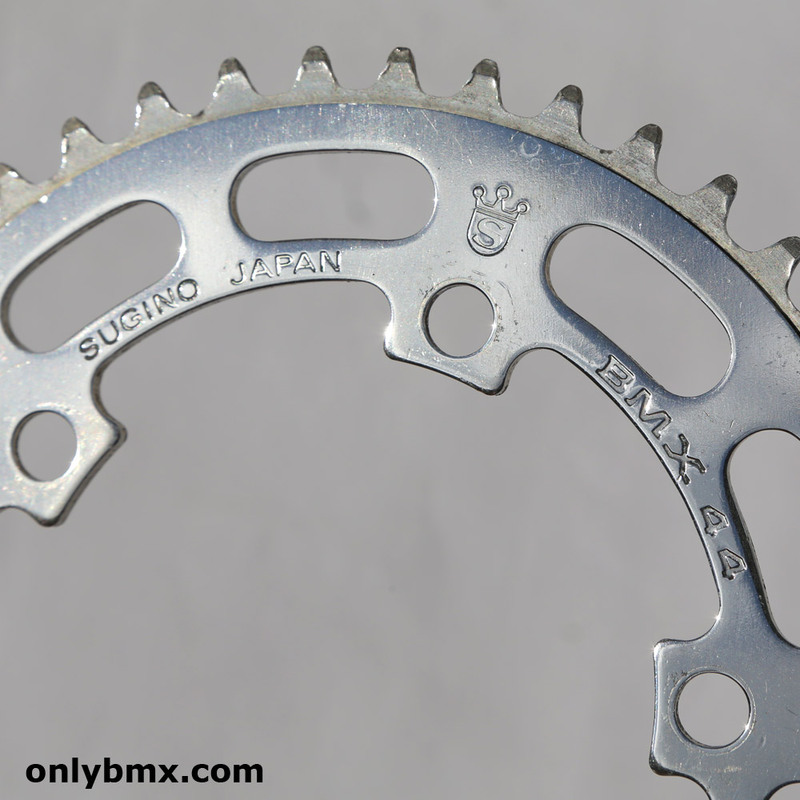 This Sugino 44 tooth BMX chainwheel was NOS before being mounted on a show bike so hasn’t seen a lot of work. 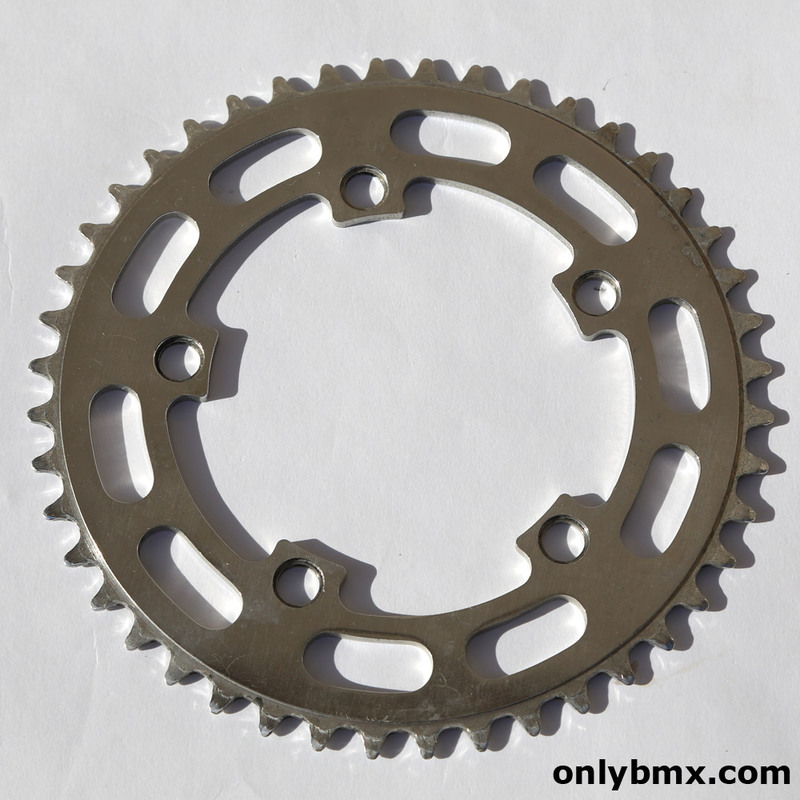 Like many chrome plated alloy parts, it’s not as uniform as a steel part, as shown in the photos. This is not from wear and tear, it’s how it comes. 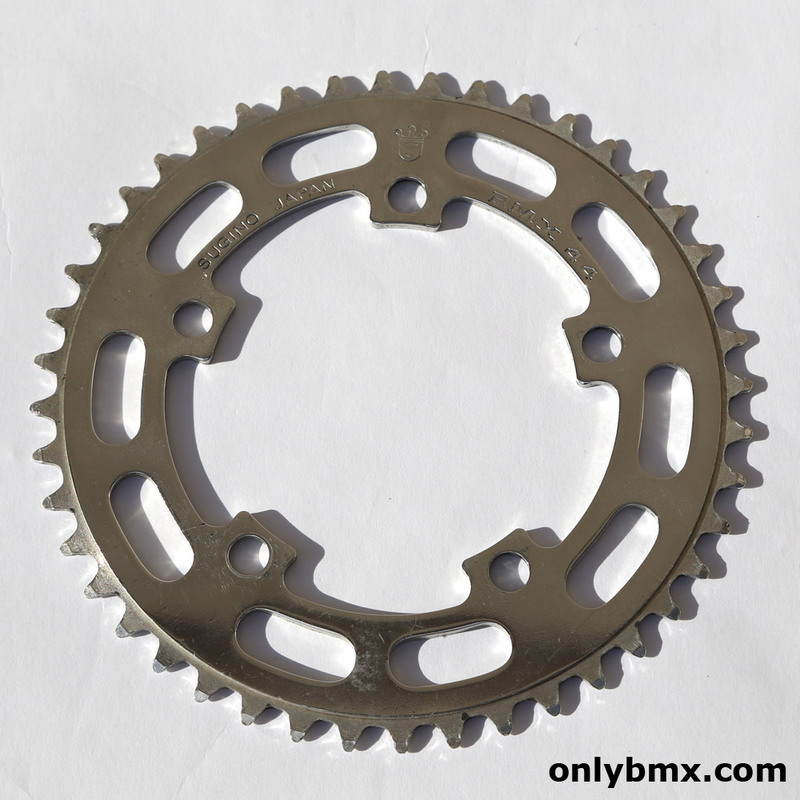 Being a Sugino BMX chain ring it fits a 110 BCD spider or crank arm setup.